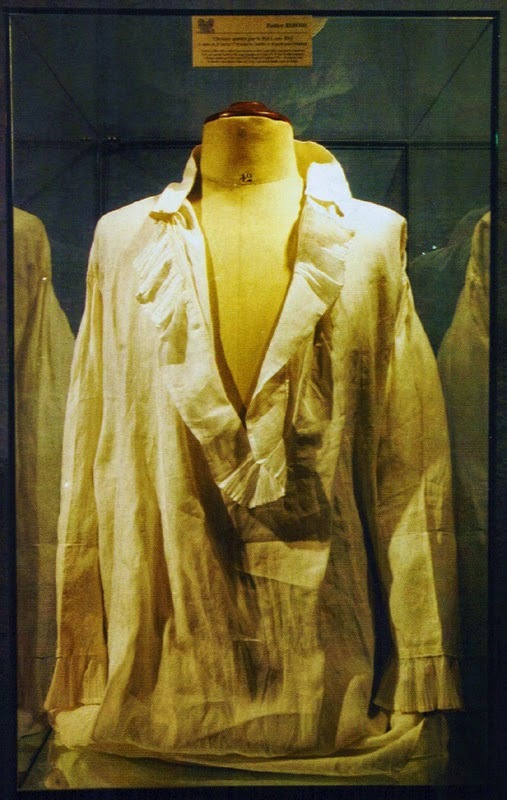 As previously posted, one of the items in the Collection Bancel sale of 2003 was the shirt/ nightshirt Louis XVI changed out of on the morning of his execution on 21st January 1793. Philippe Gille is no mystery. He was a well-known Parisian personality of his day - journalist and secretary of the Théâtre Lyrique, he was also the friend and collaborator of Victor Sardou. He housed a considerable private collection in his Hôtel in the rue Jouffroy, which boasted a window and balcony from Marat's demolished house in the rue des Cordeliers!. Further details of Gille's collection can be found in a 19th-century book on Louis XVII. 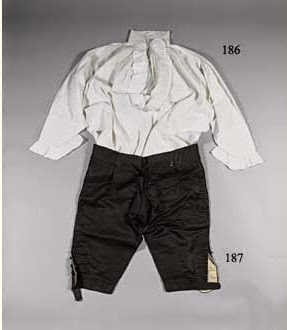 As well as the shirt, it lists several other memorabilia which found their way into the Bancel collection, notably the key to the Temple and the green striped coat which belonged to the Dauphin. The text confirms the provenance and insists that the objects were labelled by Cléry himself. See: François Régis Chantelauze, Les derniers chapitres de mon Louis XVII (1887) p.54. The post reveals that this too is the shirt said to have been worn by Louis on the morning of his execution! It was preserved by Cléry but, rather than being kept in Cléry's own family, was given by him to the duchesse d'Angoulême. It was sold as part of the collection of the Prince Sixte-Henri de Bourbon-Parme in 2003 or 2005; the photo is from the sale preview (and has what is probably a lot number, 42). I admit to being confused! Details of this second sale have so far evaded all my Googling efforts. I am not even quite sure whether there are really two shirts or just a muddle over the one. 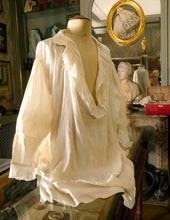 What I do know for certain is that the present owner of a/the shirt is one of France's foremost private collectors, the financier Bruno Ledoux, who plans to create a public museum in his new property, the palais du Roi de Rome at Rambouillet. He was very pleased with his shirt and ferried it off in triumph on his scooter!